Prime Minister Benjamin Netanyahu on Friday rejected a demand made by Labor Chairman and Defense Minister Ehud Barak to change two clauses in the planned Israel Land Administration reform. Barak has been under increasing pressure this week by members of his faction. He asked Netanyahu to rule that the lands would not be sold but rather leased for generations, in order to allow the State to remain the official owner, and demanded a reduction in the number of lands offered for sale from 4% to only 2% (99,000 acres instead of 198,000 acres). The matter was discussed on Wednesday during a stormy Labor faction meeting, which led Barak to realize that he has no majority to back the coalition on this move, including among his supporters within the faction. The Labor chairman was eventually authorized to hold negotiations with the prime minister on the matter and demand a change to the two clauses in the planned reform. According to Barak's associates, Netanyahu's response will not lead to a crisis and the talks with the prime minister will continue in the coming days. "This is not the end of it, and it's too early to talk about a deadlock," said a source close to the defense minister. If Netanyahu continues to insist on the matter, however, this may lead to a clash with the Labor Party. The ILA reform will be brought to the Knesset for a second and third reading on Monday as part of a special hiatus session. Netanyahu has threatened to fire ministers and deputy ministers who will fail to vote with the coalition. The first ministerial-level meeting between Israel and the Palestinian Authority since the establishment of the Netanyahu government was held Wednesday in Tel Aviv, with Vice Premier Silvan Shalom and PA National Economy Minister Bassim Khoury attending a conference on economic peace organized by the Peres Center for Peace, Tel Aviv University and the German Friedrich Ebert Stiftung. The two sat next to each other and shook hands when meeting and departing, and though the Palestinian representative made sure to note that it was by no means a bilateral meeting, both sides reiterated their governments' desire for peace. Shalom spoke first, greeting the audience of foreign diplomats and guests in English before moving over to Hebrew for the main portion of his speech. "I think it is the first time that there is an engagement between a Palestinian minister and an Israeli minister from the new government here, and I would like to believe that it is the first, but not the last. Let's hope that it will bring real engagement between Abu Mazen [PA President Mahmoud Abbas] and Prime Minister [Binyamin] Netanyahu," he said, adding that "I would like to believe that after four months, the time has come [for] the first meeting between both leaders [to] take place immediately and, as we say, the sooner the better," said Shalom. Referring to the conference's title, "What Comes First? Economic Peace and the Two-State Solution," Shalom said he felt this was the wrong way to present the situation. The assumption that economic peace and political dialogue are mutually exclusive is exactly the problem with the Palestinian thinking, he said. "There is no reason in the world for the two processes not to take place at the same time." Shalom reiterated Netanyahu's dedication to the idea of economic peace and the conviction that it could lead to real peace in the region. "The fact that he founded a ministerial committee, chaired by him, and dedicated to removing impediments to joint projects and improving the lives of Palestinians, shows that this government is serious about moving ahead," he said. The vice premier said that when he looked at the past, he was frustrated by the lack of action on both sides. He said it was an excess of bureaucracy and security measures, and not ill will, that was to blame for the lack of activity on the part of Israelis, and he called on the Palestinians to return to negotiations. Shalom said he couldn't understand why they continued to refuse to come to the table, and ventured to guess that it was because they were waiting for pressure from the United States to solve their problems for them. (CNN) -- Don't you just love a parade? Apparently the Obama administration does too, as evidenced by the steady stream of top U.S. officials visiting Israel this week. A bevy of heavy hitters are there, the likes of which haven't been seen since the Persian Gulf War. Just as Defense Secretary Robert Gates wrapped up his meetings there, Mideast peace envoy George Mitchell arrived for talks with Israeli Prime Minister Benjamin Netanyahu. Mitchell will be followed later this week by national security adviser James Jones and Dennis Ross, the White House's point man on Iran. Aaron Miller, a former Mideast peace negotiator under President Clinton and author of "The Much Too Promised Land: America's Elusive Search for Arab-Israeli Peace," calls it "the big hug," a show of reassurance to Israel that the U.S.-Israeli relationship remains strong despite the current squabble over settlements. But the flurry of diplomatic activity sends a strong signal that these disagreements are minor in comparison to how central the U.S.-Israel relationship is and how large Israel looms in every piece of the American policy puzzle in the Mideast. Which is why Gates offered Israel security reassurances with talks on Iran and missile defense. And why Mitchell emphasized the enduring strength of the friendship between the United States and Israel and has been working on a deal with the Israelis on settlements, which is expected to include a freeze on construction but would allow several hundred buildings already under construction to be exempted. (IsraelNN.com) The number of Israelis who surf the Internet from work or home has surpassed the number of radio listeners for the first time, according to the yearly survey by TGI. The survey covered the year between July 2008 and June 2009. The survey showed that the Internet now has an exposure of 76.8 percent on weekdays, while the radio enjoys only 76.1 percent exposure. The newspapers lag behind with 61.3 percent exposure. Prime Minister Benjamin Netanyahu met with U.S. National Security Adviser James Jones in Jerusalem Wednesday evening, for a private meeting on Israeli-Palestinian peace process, the Iranian threat and other issues relating to promoting Middle East peace. Netanyahu told Jones that Israel would not fully open the Gaza border crossings until captive Israel Defense Forces soldier Gilad Shalit was released. (Haaretz).The United Nations headquarters in New York is usually not a place in which Israel receives compliments, yet the Israeli delegation there recently garnered rave reviews for the way it responded to the explosion of a Hezbollah weapons cache in southern Lebanon. Though unable to say so publicly, Arab representatives at the UN were impressed with the Israelis' efficient and successful diplomatic campaign following the incident. Instead, Arab deputies and officials criticized the Lebanese government "whose representatives failed in a frightening fashion," in the words of one Lebanese journalist. In the wake of the weapons cache explosion, diplomats in New York credit the Israeli delegation with exposing Hezbollah as "the neighborhood bully." This is a significant achievement considering that some in the UN have refrained from labeling Hezbollah as a destabilizing factor in the region. The Israeli contingent can take solace from an article written by the Lebanese correspondent to the UN, Nazar Abud, which appeared in the al-Akhbar newspaper. Abud mocked "the slowness of [the Lebanese government's] response to Israel's actions, its failure to deal with Israel's claims, and its hopelessness in the face of Israel's activity." The Lebanese journalist referred to last week's Security Council session in which the secretary general's liaison claimed that the weapons cache which exploded belonged to Hezbollah. "The Security Council meeting looked like a Lebanese failure," Abud wrote. "Israel acted in full force by launching a public relations campaign. The Israeli response was viewed as a success particularly in view of the failure of Lebanon's counter-response." Prime Minister Benjamin Netanyahu met Wednesday with White House National Security Adviser James Jones, in Jerusalem. Jerusalem sources called the meeting "productive," adding that the two discussed the Israeli-Palestinian peace process and Iran. Sources in the Prime Minister's Office said: "The overall feeling is that Israel and the US are working together to ignite the regional process." (Haaretz).Israel is considering negotiating with Lebanon by reestablishing one of the 1949 armistice commissions that ended Israel's War of Independence. Israeli officials have been discussing the matter with the United States, United Nations and European Union. Prime Minister Benjamin Netanyahu has asked the Foreign Ministry to present its opinion on the issue to the cabinet in the coming weeks. U.S. Middle East envoy George Mitchell has said that the Obama administration is keen to see Israel renew negotiations with the Palestinians, Syrians and Lebanese. While there have been talks in recent years with Syria and the Palestinians, the Israeli-Lebanese track has remained quiet. Israel's main contact with Lebanon has been over implementation of UN Security Council Resolution 1701, which ended the 2006 war with Hezbollah. The 1949 armistice commission regularly functioned until 1967, but was disbanded at Israel's initiative. The Lebanese-Israeli commission convened at border crossings at Rosh Hanikra and Metula with the participation of two Israeli representatives, two Lebanese and a chairman from the UN. Netanyahu has also asked the Foreign Ministry to present to the cabinet an updated position on the disputed Shaba Farms area and on a possible withdrawal from the northern part of the village of Ghajar, which straddles the Lebanese border. What do Barack Obama and Benjamin Netanyahu share in common? (hotips).I'll give you a hint: This is something that is shared also by George Bush, and Ehud Olmert. It is also shared by Gerald Ford, Ronald Reagan, and Bill Clinton... Have you guessed? The above politicians are all left handed.They are not the only left-handed politicians. A few others are Winston Churchill, Harry Truman, Fidel Castro, Colin Powell and even Prince William of England. Why are so many politicians left handed? It is believed that about 10-15% of world's population has a dominant left hand, but it seems the percent of leading left-handed politicians is much higher. In 2008, both presidential candidates, Barack Obama and John McCain were left handed. The same occurred in 1992: All 3 candidates - George W. Bush, Bill Clinton and Ross Perot are left handed. One possible explanation may be found when looking at the differences between left and right handed people's brains. In their Encyclopedia of Genetics, Eric C.R. Reeve and Isobel Black claim (p. 574) that some of the left-handed people are actually not genetically left-handed, but are actually what they call "learned left-handers". By some chance in their proverbial development they have learned to use their left hand as the dominant hand. These people develop verbal (and possible other) functions in both hemispheres of their brain. This may lead to a very fine rhetorical talent. As we know, good speaking abilities are one of the most important expertise needed by a politician today. We would expect such good verbal skills to manifest themselves also in writing. Indeed, some of the best writers were also left-handed....The left handed verbal skill may manifest itself more in speech, where the speed of using the verbal skills is more apparent than in writing. 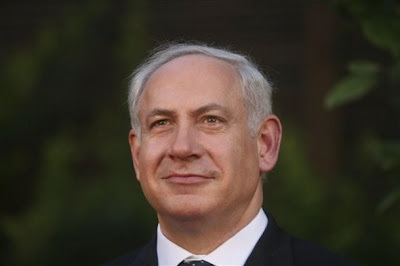 (Aluf Benn-Haaretz).Prime Minister Benjamin Netanyahu is consistent. He has stuck to his ideas for years despite political reversals. He has the patience to wait until the Israeli public understands and supports him. For example, the idea of "broad national agreement on a demilitarized Palestinian state," which Netanyahu is selling today as a historic revolution in his positions, was presented back in 1996 in an interview with Haaretz's Ari Shavit. His formula has been adapted to the spirit of the times. Netanyahu is willing to say the word "state" today, and in return he is demanding that the Palestinians recognize Israel as the homeland of the Jewish people. But his basic principle has stayed the same. As prime minister, Netanyahu is mostly busy with security and foreign affairs, but in his heart he is a revolutionary and social reformer. The refashioning of Israeli society is much more important to him than a few more houses in the settlements... He promised to change things. He is a staunch opponent of Bolshevism and dictatorial thinking, and believes that the essence of democracy is open thinking and integrated opinions. "There are academic and media institutions that are obligated to think uniformly, and they simply clone themselves. They are raising more and more generations of young people with the same uniform thought," said Netanyahu, who wanted to break the left's control of academia and the media. He also wanted to break the power of bureaucrats and unions who controlled the economy, and of the legal and military intelligentsia associated with the Labor Party. Netanyahu is at his best when he is fighting his own battles against powerful forces: the left wing, unions and U.S. President Barack Obama. The fatal mistake of his first term as prime minister was his declaration of war on all such elites at the same time, which made them unite against him. In his second incarnation, Netanyahu has placed himself in the political center and avoided loud attacks on the elites and various other groups. Instead of getting into fights - and causing them - the 2009 model Netanyahu unites. In his current term, instead of attacking along a broad front, Netanyahu is choosing his battles. What is important, as far as he is concerned, is stopping the Iranian nuclear program. 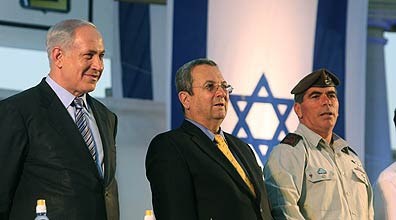 To do that he wanted Ehud Barak in the Defense Ministry and was prepared to pay the price: full autonomy for Barak in managing the Israel Defense Forces, and strengthening the Histadrut labor federation headed by Ofer Eini, who brought Barak into the coalition. He does not love the unions any more than in the past, he just needs them more. The younger Netanyahu fought IDF officers, whom he saw as foolishly devoted to the Oslo Accords, and kept them away from the peace negotiations. The more mature Netanyahu does not interfere in IDF matters, though his recommendation to the head of the Shin Bet security service not to speak out on policy matters and to leave them to National Security Advisor Uzi Arad shows he has not relinquished his wish to tighten control over the intelligence and security services. The difficult situation of the universities, which are begging for funds from the state, gives Netanyahu the unique and golden opportunity to influence and undermine the hegemony of the current powers in academia, under the guise of efficiency measures and reining in wage excesses. Netanyahu will not give up on his social revolution and dream of becoming Ronald Reagan, the popular conservative who created a revolution in America. He has "learned to be a politician" and is trying to avoid battles he has no chance of winning - the scale of the opposition to his land reforms surprised him. Instead of a noisy Kulturkampf, he will fight the elites one by one and quietly until he fulfills his dream and weakens their influence, because Netanyahu is consistent and believes the Israeli public is willing to listen to him more than before. (Jpost).The right-wing National Union Party will begin efforts to persuade Likud ministers and MKs to join their party following Monday's expected passage of the so-called "Mofaz Bill", National Union MKs said Tuesday. "We believe a large portion of the Likud opposes Netanyahu's declared support for a Palestinian state and [not-yet declared] support for freezing construction in Judea and Samaria," Ariel said,"There is potential for seven Likud MKs to leave. I hope we won't have to get to that point, but if it does, it will be up to the MKs." Names of potential Likud defectors raised in Tuesday's faction meeting included Strategic Affairs Minister Moshe Ya'alon (closest aide to PM), Environmental Protection Minister Gilad Erdan (Potential Likud leader), and MKs Hotovely, Danny Danon, and Yariv Levin. (only 5 but who cares). Mitchell said he looked forward to continuing discussions with Netanyahu and moving toward a “comprehensive peace” envisioned by US President Barack Obama. He did not say when he would next meet the Israeli leader. Neither Mitchell nor Netan­yahu, who in his public comments has played down the dispute with Washington, mentioned settlements in their remarks to reporters. (Ynet). "One day, the Palestinians will topple Hamas' rule in Gaza," Prime Minister Benjamin Netanyahu said on Tuesday ,"If the Palestinians could, they would overthrow Hamas, and believe me, one day they will," he said, speaking at the National Security Academy's graduation ceremony. The prime minister also predicted that the end of radical Islam was near. "Eventually, radical Islam will be defeated by the global information revolution, the freedom to spread ideas and with the help of technology," he said. "This won’t happen immediately, but it will happen. The only thing that could delay or disrupt radical Islam's demise is the possibility that (radicals) will obtain nuclear arms," he said. Netanyahu also reiterated the importance of supporting the Palestinian economy, which he claimed will determine the Palestinians' future. "Economic development promotes peace. There is a struggle here and in other parts of the world against the dark, radical forces – the last thing these forces want to see is progress. "The true test is whether we will be successful in helping the Palestinian Authority advance in the direction that Dubai has, or whether it will revert to the ways of the regime in Gaza. I am not saying (the PA) will become Dubai tomorrow or the day after that, but it is headed in that direction. The Palestinian economy is growing at an annual rate of more than 7%, and it can grow at a much faster pace," said the PM. "No one wants to see a situation similar to the one in Gaza and south Lebanon, whereby any evacuated area is immediately taken over by terror elements," he said. "We all saw what happened in north and south Israel, and God forbid this should happen in central Israel as well. This is why the demand for active demilitarization is crucial to the peace process." (Ynet).Prime Minister Benjamin Netanyahu took a tour with Vice Prime Minister Silvan Shalom and Transportation Minister Yisrael Katz of the Allenby Border Terminal. During the tour, Netanyahu ordered the expansion of the terminal's hours of operation for the purpose of moving merchandise to the Palestinians and for a pedestrian passageway from Israel to Jordan, and from there to the PA.
(IsraelNN.com) The coalition and opposition reached an agreement Tuesday to allow the debate on the “Mofaz” law to last for 45 hours straight, effectively capping the debate at 2:00 p.m. tomorrow when the Knesset goes on vacation,If the law is not approved by then, the Knesset will have to meet for a special session next Monday to approve the law. (7:30pm)*MK Nachman Shai(Kadima):" We are sad people! Whoever thinks that we put on the facial masks gladly, is mistaken. I do not like to deride and to joke around but the aroma is vehement and the feeling is that we need to shake things up in order that the public will understand that we deceive them, embarrass them and make fun from this House". (Jpost).Recent talks with US envoy George Mitchell have left Israeli officials with the impression that - contrary to expectations in some circles - President Barack Obama is not going to unfurl his own regional peace plan. Rather, according to these officials, the administration is aiming to create a positive dynamic that will lead to the relaunching of a Palestinian-Israeli diplomatic process, but this time with more regional players on board. Ever since Prime Minister Binyamin Netanyahu met with Obama in Washington in May, there have been persistent reports that Obama would give a speech in which he would outline his vision of a peace agreement, much in the way that president Bill Clinton did in 2001, just before leaving office. There has even been speculation that the purpose of Mitchell's roaming from capital to capital in the region was to listen to the different points of view, before the US would put it altogether and come up with a "ruling" of its own. But, according to the officials, the sense in Jerusalem now is that Washington realizes that it is not constructive to just place a plan on the table, without putting all the different pieces together to enable it to be accepted. Prime Minister Benjamin Netanyahu met on Tuesday with U.S. President Barack Obama's special envoy to the Middle East, George Mitchell, in Jerusalem on Tuesday. The premier told Mitchell that Israel was doing all it could to advance the peace process with the Palestinians. Mitchell said that there are understandings that have been reached that could aid in advancing the process. The Prime Minister's Office stated that the meeting was positive and that the two discussed various issues concerning the political process and not just the settlements issue. In his remarks, Netanyahu said that, "we're making progress towards achieving an understanding that would enable us to continue and achieve a peace deal between Israel and its Palestinian neighbors." Mitchell said in the meeting that progress has been made in talks and that the US hopes to reach understandings with Israel, forming a basis for continued negotiations with the Palestinians. Netanyahu and Mitchell are scheduled to meet again in August. Following their meeting, Mitchell told reporters that a "comprehensive peace in the Middle East would include peace between Israel and the Palestinians, as well as peace between Israel and Lebanon, and Syria and Israel." In addition, he continued, the peace plan would include "full normalization between Israel and all of its neighbors in the region." "That is our objective," Mitchell said, "and to that we have committed ourselves fully." (Yossi Verter-Haaretz).After the defeats, capitulations and missteps, Prime Minister Benjamin Netanyahu desperately needed a victory. Any type of victory, it didn't matter what. "Let me win!" he has often told people lately. It is doubtful whether Kadima will split as a result of the new law. And even if Netanyahu's aides are right and there are really seven dwarfs hiding in their cave and ready to jump on the coalition's wagon at any time - it will still not really strengthen Netanyahu. He was strong enough anyway, even if he is scared of falling at any moment. From Netanyahu's perspective, he restored his power of deterrence. Next week he will pass the land reforms after having succeeded in taming all the mighty heroes who abandoned him last week, including the Labor Party's ministers and even his own party's vice prime minister and strategic affairs minister, Moshe Ya'alon. The former IDF chief of staff, a fierce warrior on the battlefield, was revealed to be a poor politician. Less than a week after his "kibbutz values" did not allow him to support the reforms of the Israel Lands Administration, Ya'alon announced yesterday in the Likud faction meeting that he will now vote to pass the same reforms. He did mumble something about changes in the law that Netanyahu had promised him, but Netanyahu jumped at the comment. "I said I would agree to examine if there is a problem," said Netanyahu with uncharacteristic sarcasm, "and I said that if there was a problem I would agree to examine if there is a solution." Ya'alon was silent. "Bogey [Ya'alon] fought to the first drop of his blood," his Likud colleagues agreed. One of Netanyahu's senior ministers told Haaretz yesterday that he personally has talked to seven Kadima MKs, none of whom are Mofaz, who are willing now or later to join the coalition. Kadima will not spilt tomorrow, say Netanyahu's aides, claiming he has no illusions about the opposition party; but what's wrong with having a loaded gun masquerading as the Mofaz Law, with which he can threaten this coalition partner or that when he needs it? So Ya'alon retreated and Eitan voted in favor of the law he had so harshly attacked. But Eitan at least spoke his mind. It is impossible to demand he resign over this law. On Sunday, in a meeting of Likud ministers, Eitan asked to make clear that what he said to Haaretz was not meant to disparage Netanyahu. Netanyahu responded with a story. He told his ministers of how Winston Churchill was once in the toilets in Parliament minding his own business, when an MP from his own party, who had attacked him in Parliament only a few days before, took a position next to him at the urinal. While standing next to each other, the MP apologized to Churchill for what he had accused him of in the Commons. I would prefer, said Churchill, if it was the opposite: Attack me in the loo and apologize in Parliament. The Mofaz bill that passed yesterday with a majority of 62 MK's in its first reading, more then it helped PM Netanyahu, regaining his Strength and his Deterrent capability over his coalition partners,and stability for the Government in case he manages to move forward with the Peace process and face rebelition in his own party, it Actualy helped Shaul Mofaz in his Fight within Kadima against its Chair woman Tzipi Livni ,First of All with his commitment that he will not leave Kadima with 7 members, rather pull in the whole Party into the Netanyahu Government, which gave him the upperhand as a Uniter and as the Guy that realy cares about the Country First and therefor would continue his efforts joining the Gov't and putting pressure on Livni , and from the Other side as he announced on Channel 2 right after the vote: "I am not going to split from Kadima and join Netanyahu. I am going to run against Netanyahu in the elections for prime minister, and I will defeat him." And Mofaz added that he thought Kadima chairwoman Tzipi Livni had made two great mistakes in the past year - first, her failure to form a coalition in October, and second, her refusal to join the new coalition after February's election, His efforts are focused now on regaining the Leadership of the Party , and from his side Livni will owe Bibi a Thank you for allowing her and her colleges that refuse to join the Government to split and remain in Opposition with 7 Mk's. So with Reguard to all critic, the Brialliant oberservation caused Damage only to the Opposition Leader Livni, Giving the Upperhand for Netanyahu in his own party and Coalition ,handing him the tools to reshuffle, and the Upperhand for Mofaz over livni in capturing the Party leadership. 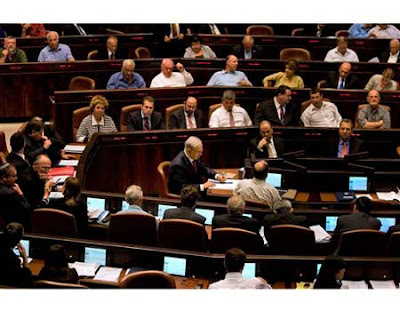 The Knesset plenum passed the "Mofaz Bill" in its first reading. The bill aims to make it easier for Knesset political factions to split, requiring only seven members to split off to form a new faction instead of the current one-third of the party required for the faction to be considered legal. The bill has been nicknamed for Shaul Mofaz because it is speculated that he will be the first to exercise it in order to break from Kadima ranks. The bill was passed with a majority of 62 votes in favor and 47 against(Prime Minister Benjamin Netanyahu was booed by the opposition when he voted in favor of the bill). Kadima MKs ousted from plenum for wearing masks during the vote. During the vote, several Kadima MKs caused commotion by wearing masks on their faces, which they said were to protect them "from the political stench." 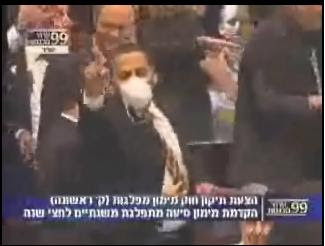 Deputy Knesset Speaker Alex Miller ordered stewards to remove the mask-wearers from the plenum. Deputy Knesset Speaker Alex Miller (Israel Beiteinu), who had been tasked with running the plenum during Rivlin's absence, found himself confronted by a number of senior opposition lawmakers including Eli Aflalo (Kadima), Ronnie Bar-On (Kadima) and Ahmed Tibi (United Arab List-Ta'al). They yelled at his decisions, while he himself berated Kadima faction chairwoman Dalia Itzik. "You, as a former Knesset speaker, have disgraced the Knesset, your faction and the plenum," Miller yelled, as Livni stood next to her seat, grinning and writing on a face mask. "The playground behavior of Kadima and of its leader, Tzipi Livni, is the behavior of a scared party that is disgracing the Knesset and harming Israeli democracy," Likud spokeswoman Nili Richman said shortly after the outburst. "It is a pity that their protests do not show respect for the public that sent Kadima to the opposition, as a party that is not content with the democratic outcome." "True, this is an act that does not fall in the realm of a normal parliamentary tool, but the stench that emanates from Netanyahu's laws of survival calls for such a drastic step," Kadima MK Yoel Hasson said. "The entire public needs to know what kind of bad smell is wafting from the Knesset today." (Globes).Prime Minister Benjamin Netanyahu and Minister without Portfolio Moshe Yaalon today struck a deal on the Israel Land Administration (ILA) reform. Former IDF chief of staff Lt. Gen. (res.) Yaalon was one of the MKs who was missing at last week's vote on the bill, which Netanyahu then pulled. Netanyahu and Yaalon met a few days ago to discuss Yaalon's reservations about the reform. Under the deal reached, Netanyahu told Yaalon that, after the bill is passed in its present form, they would meet again to discuss it. Yaalon's office said that Netanyahu said that he would act to "prevent harm to Zionist interests in the event that any arise in the legislation, including amending the law." Yaalon said, "The bill has opened the way to repositioning the coalition while preserving the principles on which it has stood in recent months." (Ynet).Benjamin Netanyahu and Noam Shalit held a 10-minute impromptu meeting Monday at the prime minister's chambers at the Knesset in Jerusalem. Netanyahu ran into Gilad Shalit's father while visiting an art exhibit at the Knesset based on the story “When the Fish and the Shark First Met”, which was penned by the captive soldier when he was 11-years-old. Taking to the Knesset podium to denounce a law whose moniker bears his name, Kadima MK Shaul Mofaz told Prime Minister Benjamin Netanyahu on Monday that his efforts to pass legislation that would facilitate his entry into the government after a possible split from his party were being waged against his wishes. "The time has come for you to behave like a prime minister and not like an average political wheeler-dealer," Mofaz told Netanyahu. "After you realized that you have no chance to preserve the coalition, you decided to bend [the rules] of democracy." "The State of Israel is not Cuba nor is it North Korea," Mofaz told the Knesset on Monday. "Too many good people have fought for the democratic face of this country, people that I value and admire." "There is no chance that I will help you or anyone else to trample the democratic face of the state," Mofaz told Netanyahu. "If you want to fulfill a public job, you have to act accordingly." Mofaz said those who hide behind the "Mofaz law" label are "cowards." "It saddens me that in the most important group of people in the state, there are those who decided to act in a manner that is unbecoming of an officer and a soldier," Mofaz said. Defense Minister Ehud Barak told visiting U.S. Defense Secretary Robert Gates on Monday that Israel was keeping on the table all the options regarding a response to Iran's nuclear program, indicating that a military strike is still a possibility even as Washington tries to persuade Israel to give diplomacy more time. "We clearly believe that no option should be removed from the table. This is our policy. We mean it. We recommend to others to take the same position but we cannot dictate it to anyone," Barak told reporters as he stood alongside Gates during a Jerusalem press conference. (IsraelNN.com) The Israel Navy conducted a successful test of the improved Barak anti-missile missile last week. The missile was fired from a Saar 5 type ship, and successfully hit a target simulating an enemy missile,It is considered to be one of the most advanced missile defense systems in the world. The Barak is launched from an upright position, thus saving room on the deck of the ship and enabling it to hit targets in a 360-degree range around the ship. The Barak was upgraded following estimates that Israel’s enemies intend to introduce a new type of missile to the naval arena. A senior naval officer told Ynet that the system could counter a “very advanced threat” which may be present in the arena in the very near future. He said that the changes in the Barak allow it to shoot down enemy missiles that travel at a faster speed than before, and that carry out meaningful maneuvers. (Guri Grossman-News1 -Translated from Hebrew).Without going in to the argument if the Land administration reform for Israel is good for us, the Media, that their role is to be the watchdog of democracy, again betrayed its duty. Like then when their tongue got stuck by the jaw, when Ariel Sharon betrayed the mean democracy,when he acted against the will of his voters and destructed the settlements in Gush Katif, includes the homes of the Netzarim citizens when he declared the the judgment of Netzarim has the same judgment of Tel Aviv. And last week in the Knesset, when the hatred to Netanyahu blinded the Media reporters eyes, instead of lashing on the ministers and MK's that violated the coalition agreements that they signed a short while ago, they unwrapped their hateful grunting on on Benjamin Netanyahu, that didn't succeed to pass the reform program this his partners are obligated to. Last week we were witnessing the loathsome disgrace act that every citizen that the Israeli democracy is dearly to his heart should denounce . 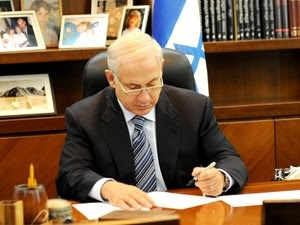 The coalition member were required to vote in favor of the reform program they signed in the coalition agreement when they joined Netanyahu's government. They knew that this reform is his Baby,ever since he became the treasury minister.He didnt demonstrate it to them as a thief in the night, they did not oppose it when they joined the government. And here in the moment of truth, when they were asked to repay their debt, they yielded in shame, Ministers and MK's as one escaped on their soul from the plenum, betrayed the Prime Minister and put to derision and to scorn the agreement upon they signed. And the reporters instead of going out against the Damage of democracy, ignored that, and gladly went out united to vaporize and trample Netanyahu. And all this contempt is deliberate to the prime minister, that intends to change, to furfil his promises to the voters, the written agreement that is stamped by every one of his coalition partners. (Ynet).US Mideast envoy George Mitchell arrived in Jerusalem on Sunday for talks with Israeli officials – the first of four US officials set to visit this week. Prime Minister Benjamin Netanyahu is also scheduled to meet Defense Secretary Robert Gates, National Security Adviser James Jones and top Iran and Mideast specialist Dennis Ross. Meanwhile Sunday, the US Embassy in Tel Aviv said Mitchell would make a quick trip to Egypt before returning to Israel for more talks. Embassy spokesman Kurt Hoyer said the envoy's trip to Cairo came at the request of Egyptian President Hosni Mubarak. Mitchell was scheduled to visit Egypt on Tuesday. It was not immediately known why Mubarak asked Mitchell to move up his visit,Hossam Zaki, Egypt's Foreign Ministry spokesman, said Mitchell was scheduled to meet with Mubarak and other officials Monday. Hoyer said Mitchell would return to Israel for talks with Israeli leaders on Monday. (Ynet).In his weekly sermon Saturday evening, Shas' spiritual leader Rabbi Ovadia Yosef slammed US President Barack Obama and other western leaders for pressuring Israel to freeze construction in the West Bank and east Jerusalem. "'You can't build here, you can't build there' – it's as if we were their slaves," the rabbi protested. stating a phrase from the Bible:"We are being ruled by slaves," he said," adding that, "Our messiah will come and throw them out." (Haaretz).U.S. President Barack Obama's envoy to the Middle East, George Mitchell, reaffirmed Sunday his country's allegiance to Israel, amid tensions between Washington and Jerusalem over Israeli construction in the West Bank. "The American commitment to Israel's security is unshakable and will not change," Mitchell told Defense Minister Ehud Barak. Mitchell, whose visit to Israel followed a trip to Syria, said ongoing talks between the United States and Israel were "discussions among friends." Speaking at Barak's Tel Aviv office, the envoy added the talks were "intended to help what we share in common, a desire for comprehensive peace in the Middle East and that includes Israel and Palestine, Israel and Syria, Israel and Lebanon and normal relations with all countries In the regions." Barak, for his part, thanked Michell for U.S. efforts to bring about regional peace, especially with regard to an Israeli-Palestinian accord. (Reuters) - U.S. Secretary of State Hillary Clinton said on Sunday that Iran would not be allowed to have a nuclear weapon and major powers were united to prevent that from happening,"Your (Iran's) pursuit is futile," she told NBC's "Meet the Press" program, adding that Iran did not have the right to develop a nuclear weapon. "First, we're going to do everything we can to prevent you from ever getting a nuclear weapon. But your pursuit is futile, because we will never let Iran — nuclear-armed, not nuclear-armed — it is something that we view with great concern, and that's why we're doing everything we can to prevent that from ever happening. ... We believe, as a matter of policy, it is unacceptable for Iran to have nuclear weapons." At the same time she says that Washington remains ready for dialogue with Iran on is nuclear program,Clinton says that Washington hopes the Jewish state understands American attempts to talk to Iran is a better approach. Prime Minister Benjamin Netanyahu told the weekly cabinet meeting that Israel was trying to reach an understanding with the US, this ahead of the scheduled arrival of senior American officials this week. "Naturally, in the context of friendly relations between allies, there isn't agreement on all points, and on several issues we are trying to reach an understanding, in order to make progress together toward our shared goals — peace, security and prosperity for the whole Middle East," Netanyahu said ahead of his Cabinet's weekly meeting. arriving with a senior National Security Council, State Department and White House team, including Dennis Ross. They will also meet with ministers and senior security officials. These important visits are being held as part of the ramified and tight network of links between Israel and the US, a network which has existed in the past and which continues to exist in the present as well. Our common interests encompass all the main areas of bilateral cooperation. I believe that such an intensive continuity in contacts with the US reflects our common denominator in the search for security stability, economic development, diplomatic progress and other strategic issues; this network of relations is important and steadfast. Naturally, even within the fabric of friendly bilateral relations between two allies, there will not be full agreement on every point. On various issues, we are trying to reach the same under-standing so that together we may advance our common goals – peace, security and prosperity for the entire Middle East." In your opinion should Prime Minister Binyamin Netanyahu insist that the Palestinians also freeze all new construction in the territories of Judea and Samaria, in order to prevent new facts in the area, in the case that such a freeze also applies to Israel? What do you think is the ultimate goal of PA Chairman Mahmoud Abbas (Abu Mazen) and other leaders acting to establish a Palestinian state: a Palestinian state that exists next to the State of Israel or a Palestinian state that will ultimately exist in place of the State of Israel? To what extent do you think that the Palestinian commitment of Mahmoud Abbas (Abu Mazen) also commits other Palestinian leaders in the future? According to experts, the "demographic problem", according to which in the future there could be a non-Jewish majority in the State of Israel, could reach critical levels in decades, and there are experts who maintain there this won't happen at all. Do you think that the "demographic problem" should be an important or marginal factor for Israeli decision makers dealing with the Israeli-Palestinian conflict? What do you think better serves Israeli interests: a sovereign Palestinian state or a Palestinian autonomy in which the Palestinians control their daily lives but their borders and airspace are under Israeli control? What do you think about Israelis who encourage foreign countries to apply pressure on Israel so that it will adopt the policies they advocate? There are those proposing that Israel be provided with international security guarantee in return for withdrawal from the territories of Judea and Samaria. Do you think that Israel can rely on such guarantees? (Haaretz).The head of Israel's Center for Jewish-Arab Economic Development believes that Benjamin Netanyahu's government has undergone a welcome policy shift on boosting business ventures in the Arab sector, citing the creation of a private equity fund precisely for that purpose. CJAED executive chairman Eytan Biderman and director Helmi Kittani praised the launch of the fund, saying that the need to integrate Arab sector into the Israeli workforce - which their organization has been promoting for over two decades - "is now recognized as national policy." Biderman says the government has come to this realization largely for economic reasons, adding that while the rate of employment in the Israeli Arab population is much lower than in the Jewish sector, the rate of Arabs in relevant age groups would increase significantly in the next decade. Some 41.4 percent of Israeli Arabs aged over 15 participate in the workforce, compared to 59 percent of Jews, according to the Central Bureau of Statistics. No statistics exist for the number of Arab business owners in Israel. "If Arabs [aren't] successfully integrated into employment and into business life in Israel, Israel's GDP is in significant danger of sliding backward. So we're not just talking about pluralism and democracy' we're talking economic development," Biderman said. The winning bidder for the tender to run the fund will be expected to commit a minimum of NIS 80 million ($20.6 million) to match a government contribution, meaning an injection of at least NIS 160 million ($41.2m) for Arab businesses. Ayman Saif, the director of the Economic Development Authority in the Minority Sector, which is a part of the Prime Minister's Office, said the fund "is one of the most important projects" initiated by the government for the Arab sector in recent years, and "constitutes the first project of its kind in the State of Israel." Netanyahu seeks to forge peace "in months ahead"
(Reuters) - Prime Minister Benjamin Netanyahu said on Thursday Israel hoped to "forge peace with the Palestinians", though he did not say what steps he would take to try to resume stalled negotiations. Speaking during a reception at the residence of Egyptian Ambassador Yasser Reda in Herzliya, days before US President Barack Obama's peace envoy, George Mitchell, is expected in the region for new talks about how to renew peace efforts, Netanyahu praised the 2002 Arab Initiative for regional peace. "I believe that this spirit can help create an atmosphere in which a comprehensive peace is possible," he said, adding that Israel appreciates(Egyptian President Hosni) Mubarak's efforts to ward off the radical forces and push towards peace. Addressing the relations between Israel and Egypt, the prime minister said the countries still have a long way to go before reaching a "very warm" peace. Defense minister and Labor Party chairman Ehud Barak called Prime Minister Benjamin Netanyahu from a European trip late Wednesday and promised that Labor would support the PM's land reform bill in the Knesset next week. Yesterday was the day that PM Netanyahu learned on his own Body how a coalition of partners can disown you in a time that you need them the most,in what even the Opposition fails to achieve time after time, What happened yesterday is a red line crossed and in order to govern Netanyahu will be forced to take some steps to assure his stability. Benjamin Netanyahu's gray, sunken face said it all. He sat almost alone at the cabinet table, his right hand drumming nervously on a pile of papers, while he looked helplessly on as his flagship - "the reform of the Israel Lands Administration" - sank slowly into the parliamentary depths, to the opposition members' cries of joy. From a coalition of 74 Knesset members, most of whom had received a post, perks or other goodies from Netanyahu only 115 days go, he is left with 48 MKs who have stuck it out with him in difficult times,All the rest have abandoned him, turning their backs without hesitation. As far as Netanyahu is concerned, it's hard to overestimate the gravity of yesterday's events. The rebellion sent bile to every corner of the coalition - Likud, Labor, Yisrael Beiteinu, United Torah Judaism and Habayit Hayehudi. Only Shas was at his side at the crucial moment, and he will have to pay with compound interest for this rare display of loyalty. And then there was MK Tzipi Hotovely. Six months ago Netanyahu pulled her out of a remote television program and built her up all the way to the Knesset. Since she got in she has been against everything - tax deductions for childcare, a demilitarized Palestinian state and land reform,When will she be for something already? Netanyahu's problem is that his coalition will help him survive.It won't topple him, because it has no alternative Bibi, but it also won't let him make any significant moves. No VAT on fruits and vegetables, no restrained budget and no real peace process. "The simplest thing is to begin peace talks, unconditionally. I have offered that, We seek unconditional peace talks with the Palestinians. We're prepared to begin those talks immediately, and I'm prepared to work with the Palestinians, and of course with President Obama, towards advancing peace with the Palestinians, and towards advancing the President's idea of a broader peace in the region. 1)The first principle is recognition. We are asked to recognize a nation-state for the Palestinian people. I think that it's necessary and elementary that the Palestinians be asked torecognize the nation-state of the Jewish people..... I think we have to be very,very clear. The Palestinians so far do not say simply, unequivocally andclearly that they recognize Israel as the Jewish state, a Jewish state notin the religious sense, but a Jewish state as the nation-state of the Jewish people. I think this is not a semantic insistence; it's a substantive insistence of which there is an immediate derivative. The other two points that I wanted to make relate to security. It's clear that the Palestinian state established should be one that doesn't threaten the State of Israel. 5)And the fifth point is that whatever arrangements are undertaken in a peace arrangement, in a peace treaty, have to be guaranteed by the internationalcommunity, led by the United States. That is, we want to have clear demilitarization means and a clear commitment by the international community about the validity and the robustness of these security arrangements. consensus. And the reason they enjoy vast consensus, and I found this out after I spoke in Bar-Ilan - is because they're fair and because they're necessary. And because anybody who has a commonsense and decent approach to the question of peace understands that these are the five foundations, the five prerequisite foundations for completing a genuine peace treaty. 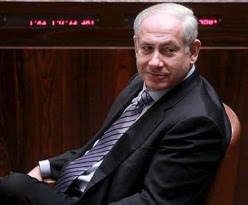 (IsraelNN.com) Prime Minister Binyamin Netanyahu threatened Wednesday to sack ministers and deputy ministers who vote against the Land Privatization Bill and the “laws of governance” scheduled to come up for a vote soon. The Prime Minister’s Office announced this unusual threat after the coalition suffered an embarrassing setback Wednesday when it was forced to halt the voting on the Land Privatization Bill, for fear that it lacked the votes to pass it. The government plans to convene the Knesset for a special session ten days from now, after the Knesset goes on recess, for voting again on the bill, Maariv-NRG reported. The government failed to garner enough support for the second reading of the Land Privatization Bill and had to ask Knesset Speaker Reuven Rivlin to halt the vote and postpone it to a later date. Speaker Rivlin informed the plenum that the government had requested, through its representative, Minister Gidon Saar, that the vote be halted. Rivlin announced that the vote was discontinued, and that it would resume no earlier than a week from today (Wednesday), and no later than three weeks from today, inclusive of days in which the Knesset will already be in recess. The debate that preceded the vote gave rise to some parliamentary drama, when it became clear that Labor MKs were absent from the plenum and would not participate in the vote. Without the knowledge of other coalition members, Labor’s MKs had arranged for their votes to be cancelled out with those of opponents of the law. This meant that their votes would neither improve or diminish the law’s chances of passing. 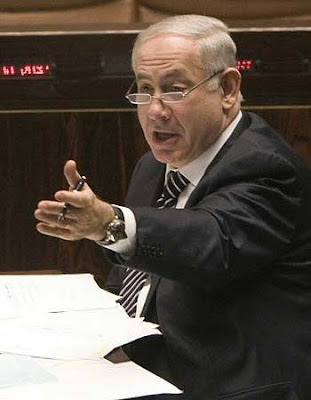 Before requesting the discontinuation of the vote, the coalition used a filibuster technique to give Prime Ministyer Binyamin Netanyahu time to try and resolve the dispute. Construction and Housing Minister Ariel Atias deliberately stretched out his speech, until Speaker Rivlin announced his displeasure with the matter and cut him short. Government suspended the vote on Israel Land Administration reform bill although it was under way due to some Coalition MK's that were absent & Labor MK's that suddenly disappeared , and will bring the bill back for a vote next week as the Coalition will be secured with a Majority for the bill to pass (To note to Kadima's celebrations - That despite Kadima's hysteric reaction,& a united opposition including the 4 Labor rebels,the Coalition Removed Reservations that were brought to vote by a slight majority of 48-47). 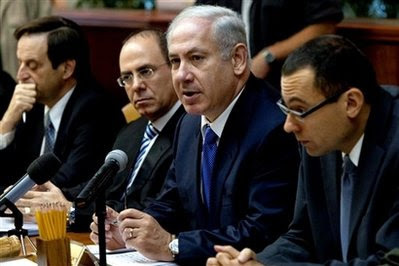 Associates to the prime minister were commented that Mr. Netanyahu is Extremely angry and livid on the humiliation that the coalition went through in the Knesset due to the absent Coalition members and the Labor MK's despite recent agreements .His associates warned that there will be implications to the act of the Labor party, and also that the Slomianski law to be brought for a vote is now doubtful. Netanyahu is livid in addition on Likud members that made judgments for themselves and opposed the Bill. Finance Minister Shtienitz responded: that "Labor got everything that wanted by the discussions in the committee, and didn't show up to vote. This is a disgrace.They got everything but are not giving anything back"
I’m greeting you from Jerusalem which is the undivided and eternal capital of the State of Israel and the Jewish people. I know that I’m speaking to a lot of friends, and I wish I could be there with you in person, but unfortunately, my schedule doesn’t permit it. Still, I’m delighted that Israel’s Minister of Tourism, my distinguished colleague, Stas Misejnikov is representing our Government. Today we’re working together to strengthen Israel’s relationship with Christian communities throughout the world. We hope that more of you will visit our wonderful land. We think you’ll have the experience of a lifetime. I think you’ll feel something unbelievable as you stand on the shores of the Galilee, or when you wade in the waters of the Jordan, or when you pray in the city of Jerusalem. You will also hear firsthand from Israelis as they express the gratitude that we feel for the unwavering support that all of you have shown the State of Israel. My friend John Hagee has shown that steadfast support. In a short time he and other Christian leaders have been able to build an impressive grassroots movement in support for Israel. And I think this shows how much support for Israel resonates throughout America’s Christian community. Now this is unusual because for centuries the relationship between Christians and Jews was marked by conflict rather than partnership and friendship. But this is changing. It’s changing in a new chapter in the relationship between us which is now being written. Today millions of Christians stand with Israel, because they stand for freedom. Millions of Christians stand with Israel because they stand for truth and millions of Christians stand with Israel because they want to see a genuine peace in the holy land. I think that the moral clarity of our supporters is more important today than ever before because Israel’s enemies are not idle. I think you and all the citizens of the world saw the Iranian regime recently brutally repress its own people and the same regime continues its unimpeded march towards acquiring nuclear weapons while its call to annihilate Israel falls largely on deaf ears. And this same regime has terror proxies. It has Hizbullah and Hamas armed with thousands of missiles, threatening Israel from the North and from the South and they continue their efforts to delegitimize Israel in the courts of world public opinion. So as always, I believe that the best way to defend Israel against lies is to speak the truth and this is what I did last month when I spoke about the desire of Israelis for a genuine and secure peace. And this is what I did when I spoke about the connection of the Jewish people to the land of Israel. Now I’m speaking here tonight – tonight here, afternoon your time – but the land is the same land. I’m speaking to you from the land walked by Abraham, Isaac and Jacob. I’m speaking to you from the land once ruled by King David and King Solomon and I’m speaking to you from the land where the Maccabees achieved their miraculous victory and this is the same land where 2000 years ago, Jesus preached a message of tolerance and love that is echoed throughout the ages, and in returning to Israel, the Jewish people have come home. And I have news for all of Israel’s enemies. We’re staying home. We are here to stay. We’re not going to go anywhere. My friends, it’s time that our Palestinian neighbors have the courage to recognize the right of the Jews to a State of their own in the Jewish historical homeland. The refusals of the Palestinians to recognize that right was and remains the root of the conflict. Many of you may recall that in 1947 the United Nations proposed a solution of two states for two peoples – the Jewish state and an Arab state. At the time, there were no Palestinian refugees, no questions of disputed territories, no question of settlements. Only one issue was on the table – the right of the Jews to a nation-state in our historic homeland. Now the Arabs rejected this right and that rejection remains the reason why this conflict has persisted ever since. And those who will demand that Israel recognize the right of the Palestinians to a state should be equally clear about their demand that the Palestinians recognize the right of the Jews to a state of their own. I think that this is the key element to achieving peace. The Palestinians must recognize the right of the Jewish people to their own state. They still have not. As the only democracy in the Middle East, Israel recognizes the rights and grants rights – equal rights to all non-Jewish citizens. In Israel, a Jew, a Muslim, a Christian or a Druze is equal before the law, but Israel is also the nation-state of the Jewish people, a fulfillment of a dream kept alive one hundred generations – by one hundred generations of Jews. This dream is realized in Israel everyday – everyday, when we ingather the exiles from the four corners of the earth; everyday when our engineers create the world’s most advanced technology; when our doctors work to cure disease and our scientists expand the boundaries of human knowledge and we realize that dream everyday when we rebuild our eternal undivided capital of Jerusalem. My friends, I wish to thank you all for standing with Israel. Your unwavering friendship strengthens us, makes us more confident of our ability to meet the enormous challenges ahead. And by standing up for Israel, each and every one of you has blessed us, so on behalf of the people of Israel, let me say, may G-d bless you all, and may G-d continue to bless the United States of America. 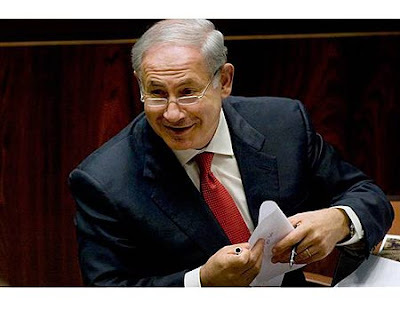 (Ynet).Prime Minister Benjamin Netanyahu on Wednesday rejected the Opposition's accusations during a Kadima-initiated Knesset plenum discussion on the subject "A failing and flip-flopping prime minister on the political and economic fronts." Addressing the Palestinian demand to remove the separation fence, the prime minister clarified that it would "remain where it is. It won't be dismantled." "Today I hear people say that because it's quiet the fence can be removed. On the contrary, my friends. It's quiet because we have the fence, and this is in addition to the IDF's activity, of course. An I must adds cautiously that there is a certain improvement in the performance of the Palestinian security organizations, and we welcome it." Netanyahu added that his government's defense policy had successfully deterred Palestinian Hamas gunmen in Gaza from launching Qassam rockets:"We are not ready to accept rocket and missile fire on the territory of the state of Israel,From the moment I entered the prime minister's post there has been a response against every instance of shooting,For every rocket fired, there will be a response,That is the proper approach,We cannot accept missile fire on Israeli cities as a fait accompli." The prime minister added that Israel would insist on "effective demilitarization" of a future Palestinian state, and that an end to the conflict could only be reached in exchange for an end to all claims against Israel. The prime minister spoke of forming an agreement on the foundations of peace, saying that it should be obvious that the Palestinians who are seeking their own state should recognize Israel as the Jewish people's nation state. "This stems from the simple principle, that the refugee problem will not find its solution within the borders of the Jewish state," Netanyahu said, adding that this was important so that "when we sign a peace agreement there will be no more demands against the State of Israel, not for the entry of refugees and not for regions in the State of Israel. The end of the conflict is the end of demands. "We do not want to repeat the mistakes and tragedies of Gaza, we do not want another Hamastan and another Hezbollahstan. The main thing, beyond questions of legitimacy and recognition, is demilitarization. The demilitarization we are asking for is effective demilitarization, not demilitarization on paper, not demilitarization which will not stand the test of time. "These are basic things which almost all MKs agree on, and I think we can reach such agreements or such arrangements if we insist on them. In general, all the things I have said are things that have been said, but we have grouped them together because this is a very basic thing, without it peace is really impossible… I am talking differently. I am saying things as they are." Addressing the Iranian threat, the prime minister noted with satisfaction that the mask has been torn off Iran's face. "In the field of security I have said before the elections and I'm saying this again: Our main problem is the Iranian threat on us, on the region and on peace. "During the government's tenure, something happened which is significant for the long run – uncovering the true colors of the Iranian regime. A brutal regime oppressing the people. This nation wants to rid itself of the burden of tyranny, and if it is released many forces would be released for development. "Hardly anyone supported this regime in the international community, but there were exceptions. Excluding Syria, Hamas and Hezbollah who sent their greetings, encouragement and support. What else did they send there during the oppression? It's part of the same method, the same tyranny and hypocrisy, and the mask has been torn off their face at once. This is an important thing. Something important has happened." Earlier during the meeting, Kadima faction Chairwoman Dalia Itzik attacked Netanyahu for the rift created between Israel and the United States. "We placed our most precious asset in your custody – the close, intimate relationship and exceptional cooperation with the United State of America. Now, I look at the four months of your term and am stunned. Given the credentials of such an educated, sophisticated, and experienced person, how could you fail so?" she said. "Though I am in the opposition, I don't have any interest or joy in gloating over the failure of a prime minister. Your failure is our failure," she said. "It takes a certain amount of talent to take the circumstances under which you started your term and turn them into the situation to which you have brought Israel within 113 days. And we still don't know where you're going? Where are you going? What are your plans? Do you have plans? Where are you leading us?" she charged. "Sir," continued Itzik, "it seems to me that you did not really sketch out a plan, a path, a direction from the beginning. Ten years of waiting patiently to take office again is worthy of praise. Now that you are here, could it be that you don't know what to make of it?" "How did Israel become within 113 a peace rejecter in the eyes of the world? Could it be that we gave the steering wheel to a captain that has forgotten or lost his navigation equipment? If you came unprepared, we forgive you. Start anew." MK Ofir Akonis (Likud) responded, "I say from here, from the Knesset in Jerusalem to the leaders of the free world led by the president of the United States: Mr. President, enough is enough. The Israelis and Jews of the world know Jerusalem is our eternal capital, and are united around our sovereign rule of the city. I also call upon Ms. Livni to let her voice be heard and the join the broader Israeli consensus." Itzik stopped suddenly in the middle of her speech and said to the prime minister, "Sir, I would appreciate it if you would look at me. I respect you. When you were speaking, I always looked at you. It's very insulting." Itzik added, "There seems to be a certain element of disrespect here, and I don't disrespect him. I wrote this speech and thought about each word, believe me. I have a lot of respect for you. Thank you." Netanyahu responded, "Sometimes I'm capable of doing more than one thing at the same time." While not mentioning President Obama by name, Christians United for Israel founder and chairman Pastor John Hagee said Tuesday evening at the organization's Washington conference that "America is singling out Israel" in the Middle East. "Despite all of the risks Israel has taken for peace, our government is pressuring Israel to take more risks," said Hagee in a speech to 4,000 delegates at the group's "A Night to Honor Israel" banquet. "Hello Congress, we're putting pressure on the wrong people here. You want to get tough, get tough with the terrorists, not the only democracy in the Middle East." (JTA) -- Diaspora Jews should join Arabs in investing in the Palestinian economy, Benjamin Netanyahu told U.S. Jewish leaders. The Israeli prime minister listed prosperity for the Palestinians among six conditions for lasting Israeli-Palestinian peace in a call Tuesday with members of the Conference of Presidents of Major American Jewish Organizations. Netanyahu outlined steps he was taking to facilitate commerce in the West Bank and spur forward the Palestinian economy, which he said could flourish with the cooperation of the Palestinian Authority and with the help of Jews and Arabs overseas. Netanyahu's other conditions for peace were: Palestinian recognition of Israel as a Jewish state; resolving the Palestinian refugee issue outside Israel's borders; a peace treaty that unequivocally ends the conflict; effective demilitarization of the Palestinian state, and arrangements for the international community, led by the United States, to guarantee the peace. Netanyahu said demilitarization would include Israeli control of air space, Palestinian forces limited to light arms, and no military pacts with other countries. The Israeli prime minister said he was skeptical of Syria's intentions to make peace, given its continued relationship with Iran and with terrorist groups; however, the prime minister added, he is ready for an unconditional return to peace talks and would not make an end to Syrian support for groups such as Hamas and Hezbollah a precondition. Netanyahu also emphasized that the Obama administration is not linking the containment of Iran to progress on Israeli-Palestinian peace. President Obama "never" conditioned cooperation with Israel on strategies to keep Iran from obtaining a nuclear device to U.S. efforts to advance the peace process, he said. But Netanyahu did say that he perceived causal links between the two issues that go both ways: A nuclear Iran would greatly enhance its spoiler status when it comes to peace-making; and achieving peace with the Palestinians would score a success for moderates in the region who hope to tamp down Iranian influence. (JTA).Prime Minister Benjamin Netanyahu said the growth of Christian support for Israel is a sign of the "changing" relationship between the two religious groups. "For centuries, the relationship between Christians and Jews was marked by conflict rather than partnership and friendship," the Israeli leader said in a speech via satellite to the Christians United for Israel conference in Washington. "But this is changing. A new chapter in the relationship between us is now being written". "Today millions of Christians stand with Israel because they stand for freedom, millions of Christians stand with Israel because they stand for truth, millions of Christians stand with Israel because they want to see a genuine peace in the Holy Land," said Netanyahu, who received a thunderous standing ovation when he appeared initially on the video screen. Welcoming the prime minister, CUFI founder and chairman Pastor John Hagee told him that "50 million Christians" support "Israel's sovereign right to grow and develop the settlements of Israel as you see fit and not yield to the presssure of the United States government." Netanyahu did not mention settlements or the conflict over the issue with the Obama administration during his 10-minute talk. In addition to thanking Christians for their backing of Israel and encouraging them to visit the Jewish state, he reiterated that "Palestinians must recognize the right of the Jewish people to our own state." Netanyahu spoke after a panel discussion that included U.S. Rep. Shelley Berkley (D-Nev.); Malcolm Hoenlein, the executive vice chairman of the Conference of Presidents of Major American Jewish Organizations; and Asaf Shariv, Israeli counsel general in New York. Berkley harshly criticized the Obama administration for making an issue of settlements, calling it "foolhardy" and stating that to "publicly dress down the State of Israel" over settlements was "a huge mistake." Shariv said that "Jerusalem is not a settlement" and Israel "will continue building buildings in Jerusalem," an apparent reference over a U.S. request last week to halt construction of 20 houses in eastern Jerusalem. (Haaretz).Deputy Foreign Minister Danny Ayalon said Tuesday that Israel had an "indisputable" right to build anywhere in Jerusalem, including East Jerusalem, following international calls on Israel to halt construction in the disputed area. The calls come in response to Israel's plan to build some 20 apartments for Jews in the Shepherd Hotel, in East Jerusalem's Sheikh Jarrah neighborhood. The U.S. has demanded that the project be halted, but Prime Minister Benjamin Netanyahu told the cabinet meeting on Sunday that "Israel will not agree to edicts of this kind in East Jerusalem." The Russian Foreign Ministry joined the calls on Israel to scrap the plan, and in response, Ayalon said that "Israel has and will continue to act in accordance with its national interests, especially when it comes to Jerusalem." House Minority Whip Rep. Eric Cantor (R-Va.), the only Republican Jewish member of Congress, spoke to the Christians United for Israel conference Monday night, He told Christian Zionists that U.S. policies in the Middle East must be "firmly grounded" in Judeo-Christian principles. "Reaching out to the Muslim world may help in creating environment for peace in the Middle East, but we must insist as Americans that our policies be firmly grounded in the beliefs of the Judeo-Christian tradition upon which this country was founded." Cantor's ten-minute speech mostly focused on the importance of U.S. support for Israel and the threats to the Jewish state from Iran and terrorist groups like Hamas and Hezbollah, telling the group that "now, more than ever, it is vital you're here, at a critical moment in history." Over 4,000 Christians are gathering in Washington this week to advocate for Israel on Capitol Hill,The fourth annual summit of Christians United for Israel (CUFI) has brought together Christian leaders and supporters of Israel from around the country, starting Monday and continuing through Wednesday. The Christian Zionist organization cites biblical sources as imperatives for Christians to support and help the Jewish people and the State of Israel. For the first two days of the conference, participants are learning about issues relating to Israel and the Middle East. Most of the speakers deal with Israel and Judaism. They include Rabbi Aryeh Scheinberg of San Antonio, Texas; Jennifer Laszlo Mizrahi, founder and president of The Israel Project; Congressman Eric Cantor; Malcolm Hoenlein, executive vice chairman of the Conference of Presidents of Major American Jewish Organizations; Asaf Shariv, consul-general of Israel in New York; and talk radio host Dennis Prager. 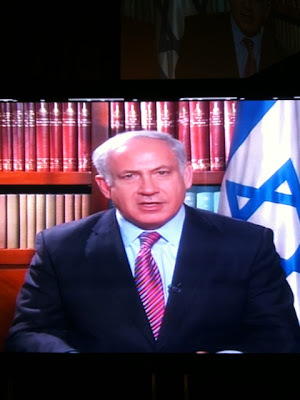 Prime Minister Binyamin Netanyahu will also address the conference via satellite. While the Obama administration has been promoting a two-state solution to the Israeli-Palestinian conflict, CUFI does not want President Barack Obama to ask Israel to make land concessions. (Jpost).Intensifying the bitter diplomatic dispute with the Obama administration over the issue of a settlement freeze, Intelligence Affairs Minister Dan Meridor (Likud) insisted on Tuesday that Israel and the United States had a clear agreement dating back six years permitting Israel to build within the construction lines of existing settlements. He said Israel had honored its road map commitment to a settlement freeze within the parameters agreed with the US, and that the Obama administration's refusal to acknowledge and abide by those understandings was deeply problematic. "It is of great importance to us that what the [previous] US administration agreed to is not overlooked," Meridor said, at a press briefing in Jerusalem organized by The Israel Project organization, adding that the credibility of future agreements and understandings was at stake. Meridor said Israel was anxious to resume substantive negotiations with the Palestinian Authority, and that the status quo was not in Israel's interest. But he said Palestinian Authority President Mahmoud Abbas had yet to take positions that would enable a solution to the Palestinian conflict. He quoted PA negotiator Saeb Erekat, who said recently that the Palestinians had no incentive to compromise, since so long as they remained obdurate Israel offered increasingly generous terms. So long as the Palestinians believed that to be the case, said Meridor, there would unfortunately be no permanent accord. 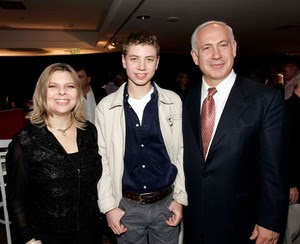 (NECN/APTV) - Israeli Prime Minister Benjamin Netanyahu's oldest son has begun his mandatory three-year military service. Netanyahu accompanied his son Yair to a military induction center in Jerusalem on Tuesday to see him off. The 18-year-old Yair boarded a bus to another army base where he will be processed. He will then go through three weeks of basic training before joining the military spokesman's office. For the first time in IDF History will a Son of a acting Prime Minister register to serve in the Army.Yair Netanyahu oldest Son of Benjamin and Sarah Netanyahu will start Tomorrow on Tuesday to serve in the Israeli army ,The young Netanyahu will be escorted to the Bakum induction base by his father, Prime Minister Binyamin Netanyahu, as well as his mother, Mrs. Sara Netanyahu. Having passed the induction requirements, following basic training of 3 weeks, he will serve in the IDF Spokesman’s Office. After meetings between Shin Bet and army protection officials assigned to the General Staff, it was decided the responsibility for protecting the young soldier will be divided. The IDF security detail, the same agents who protect IDF Chief of Staff Lt.-General Gabi Ashkenazi and a number of major-generals deemed as ‘high-risk” will protect Yair while operating on military bases. The Shin Bet will take over when he is off military grounds. (Ben Caspit-Ma'ariv)..After four months of playing defense, Binyamin Netanyahu took the offensive yesterday for the first time. Until now, it was a one-sided game. Suddenly, for a moment, it looks balanced. Now there is a worthy rival on the playing field. True, this is a bit reminiscent of the game between the elephants and the mice, when at half-time, when the elephants are leading 6-0, the mouse coach tells his players to "start getting tough," but Netanyahu's move yesterday was a wise tactical move. Obama backed him into a corner with the settlements? So Netanyahu, with a maneuver of his own, takes him into the opposite corner, with Jerusalem. Just as the settlements are a consensus in the US and around the world, Jerusalem is a consensus in Israel and within the Jewish people. Finally, something that is truly worth fighting over. Both of them, Obama and Netanyahu, now hold each other by a sensitive place. Now we will see whether Obama is a real man. Whether he really intends to take this to the end. Minister of Environmental Protection Gilad Erdan to Ynet:"Prime Minister Netanyahu did very significant steps in a short time since he is in Office. He has real desire to promote the political Peace process. If I was a Palestinian and i see the pressure of The United States, I would think that refusing pays in the end of the day". "If we experience a American demand from Israel not to build in the distance of hundred meters from the national staff and the Hebrew University, on private ground that was bought by law, Then the question is if it indeed promotes the peace process that the Americans object.Such unilateral demand that are put only to the doorstep of Israel, when the real problem is the Palestinian Authority that continue to refuse to start off and meet at the negotiation table, this can only lead to the slowdown of the peace process ". I’ll take another 100 Days of this please..